It's fall! For me, fall = real apple cider, spiced molasses cookies, and knitting. Remember this photo from a post in February? 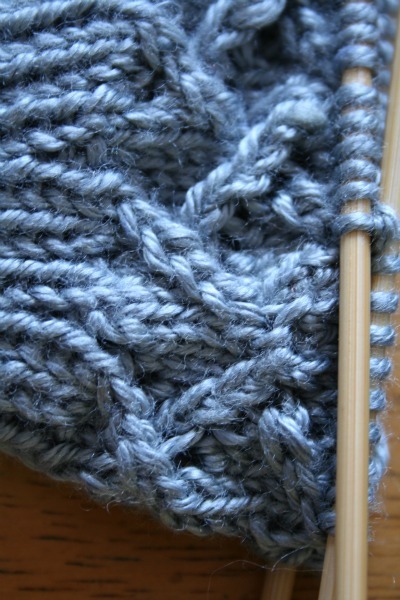 I was knitting a birthday gift for a friend who was overseas for a few months. Guess what!? I FINISHED IT!! Did you do the math? It's taken me almost 8 friggin' months! Well, to be perfectly fair, she didn't return until the beginning of May and it would have been sort of pointless to give them to her then. I found the (FREE!) 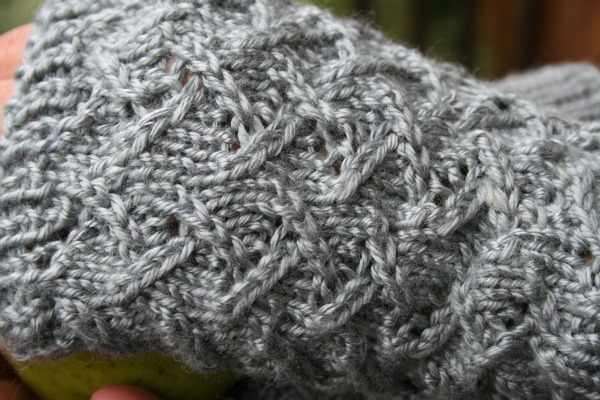 pattern on Ravelry, but if you don't have an account, it's also here. The silk and bamboo blend yarn I used made them so luxuriously soft. Seriously, if you don't say "Ooohhhhh" when you slip them on...there's something wrong with you. The cross-hatch pattern is quite easy when you get the hang of it. 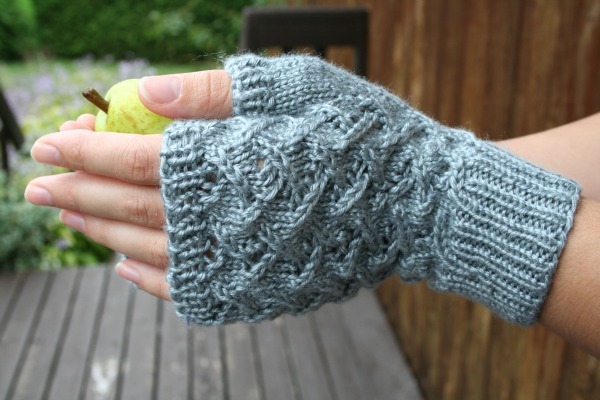 I will admit that I had to restart the whole mitt once or twice due to a few botched stitches. There's always a learning curve! 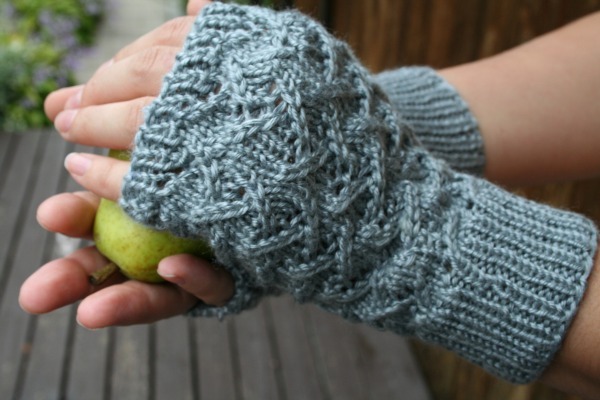 I'm so in love with these fingerless mitts, it was hard letting them go. Perhaps I'll actually take the time to knit another pair for myself....once my other knitting projects are bound off and finished!